If you want complete mastery of all the lights in your home, invest in a light control system. Through a user-friendly centralized system, you can adjust the brightness of specific sets of lights across your property. Your imagination is the limit when it comes to seeing what you can achieve with a lighting control system. 1 Sleep Soundly: Every homeowner wants to protect their property and loved ones, and with a lighting control system, you can increase your security. Program outdoor lighting to turn on with motion detection as you turn into your driveway. Set up different “scenes” with your lighting that turn on and off at scheduled times throughout the day. This “Mockupancy” technique is proven to decrease the chances of intrusion, since a home that appears to be inhabited is less likely to be a target for burglary. 2 Rise and Shine: Getting you and your family out of a warm bed can be hard, and the snooze button on your alarm is easily within reach. But with lighting control, you can program your lights to turn on at a schedule time, whether it’s a gentle dim light in your bedroom or full brightness in the kitchen. Furthermore, you can program lights to turn off at a later hour to help enforce a stricter bedtime. 3 Set the Mood: With the touch of a button, you can change your home’s lighting to match your mood. Turn on bright colourful lights in your garden for a whimsical feel, or transform your bedroom into a relaxing getaway with soft warm lights. Turn the brightness all the way up in the kitchen to encourage a productive energy while keeping the dining room lights low for a comfortable meal. 4 Near or Far: Managing your lights has never been easier with smart device compatibility. Check the status of your lights through your smartphone or a tablet, then make adjustments as necessary. Turn off the kitchen lights from your office, or the front porch lights from your bedroom for maximum convenience. Whether you’re near or far, you remain master of your home. 5 Go Green: Wire Monkeys’ lighting products help you save money and minimize your carbon footprint with energy efficiency. By programming scheduled settings for every situation, you save time and money while maximizing your light usage. Furthermore, you can choose to turn on fewer lights in order to match the mood or save energy. Lighting control is one of the easiest incentives to live a greener lifestyle that also saves you money. 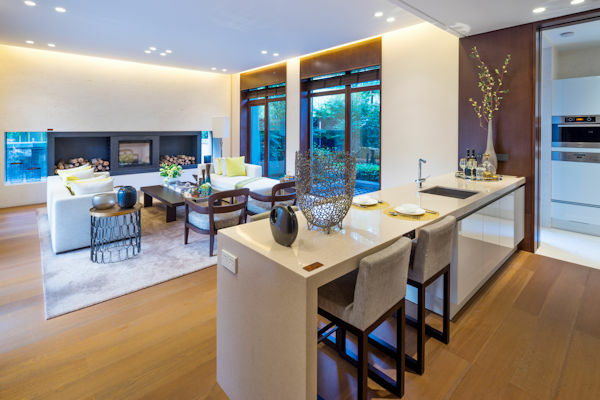 Increase the value of your home with our lighting control systems. We offer high-quality products with superior performance that dominate the industry. For more information or to get started, contact Wire Monkeys today.